Grizzly Bear - Hunt with the best, Hunt with a company you can trust! We deeply value our State, Federal and Corporate Relationships! 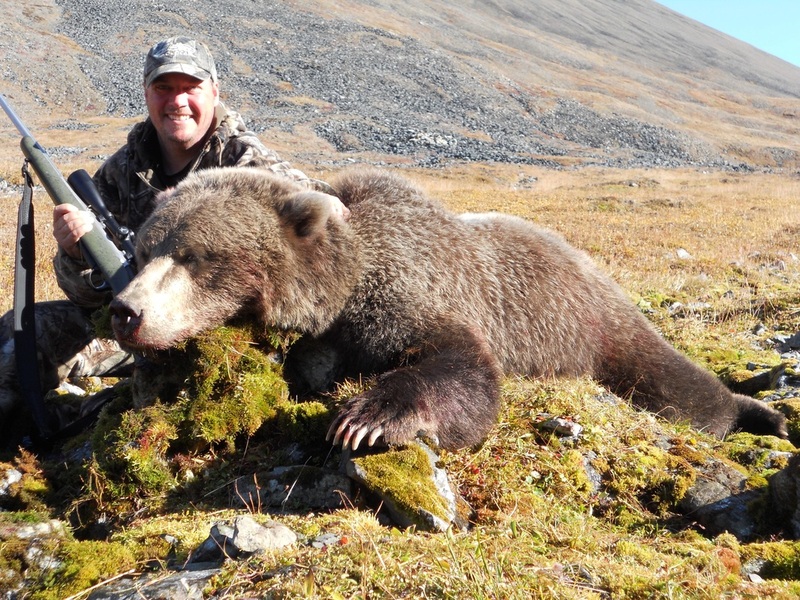 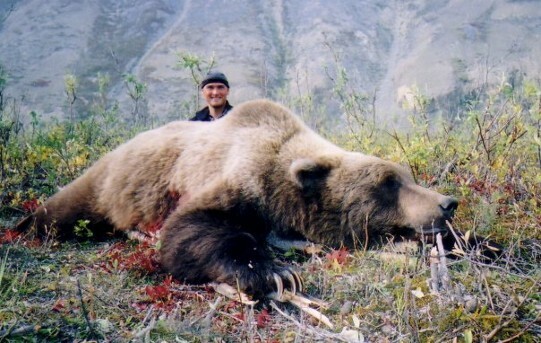 This hunt is an awesome opportunity for anyone that is wanting a trophy Grizzly Bear! 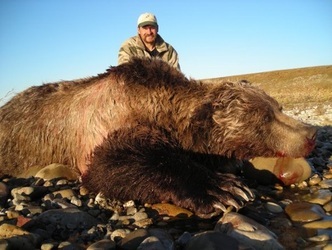 We are best well known for the amazing trophy bears we take. 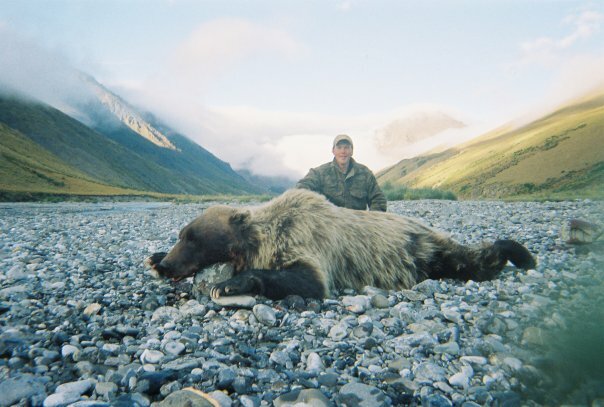 These hunts are now allowing clients to choose between Grizzly hunts by baiting or by Spot and Stalk. 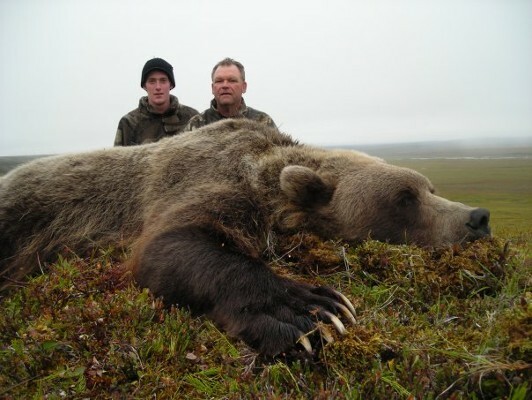 We will know the quality of bears at a location before we place a client in an area, on baited hunts! 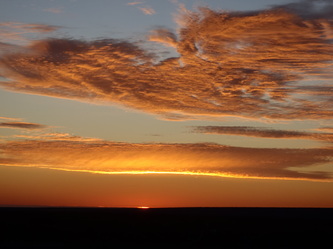 This will offer a tremendous opportunity for great success. 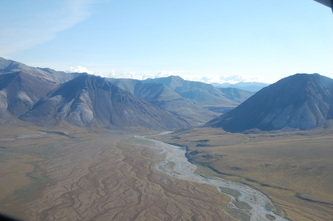 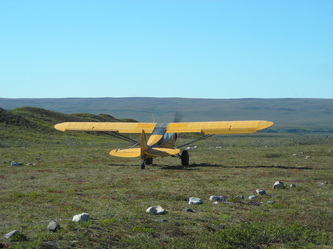 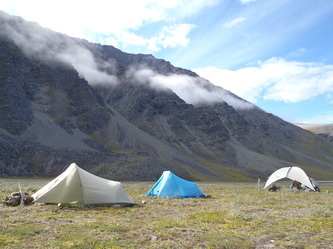 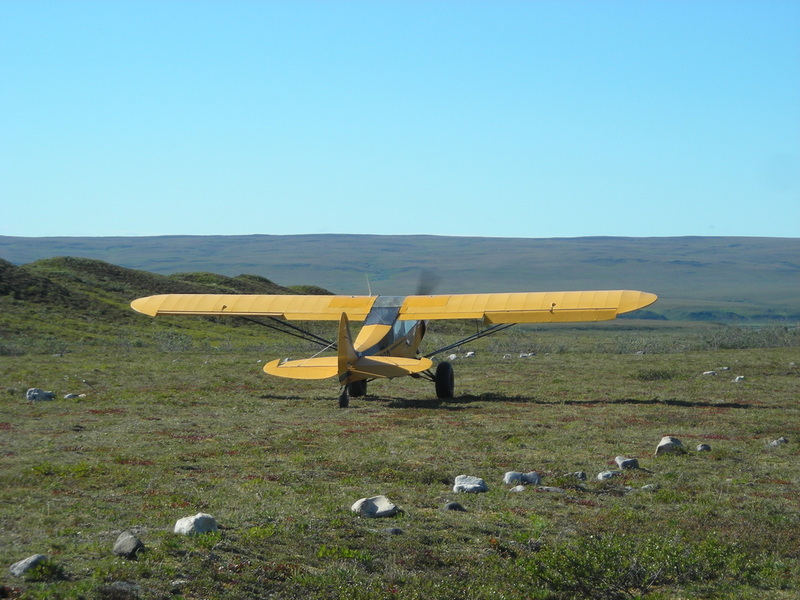 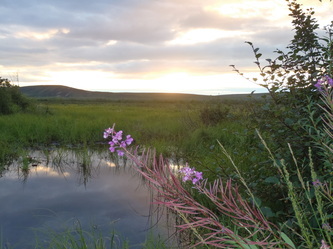 Clients will fly into Fairbanks Alaska, where they will stay at a small house on our property. Everyone will enjoy a lodge style atmosphere with home cooked meals, cozy beds, warm showers daily, and a movie every night. 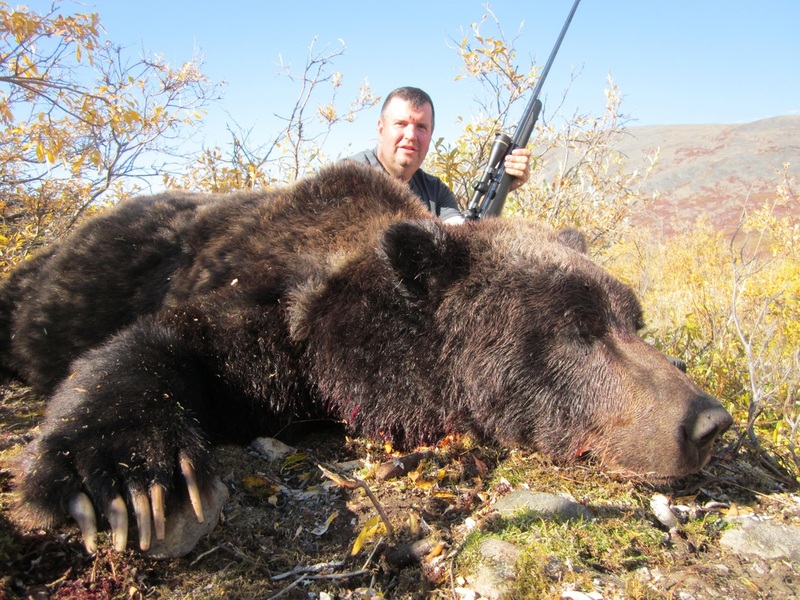 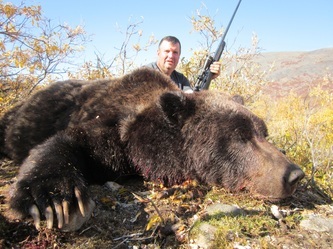 Our Baited Grizzly hunts offer clients the ability to take black bear on a trophy fee. 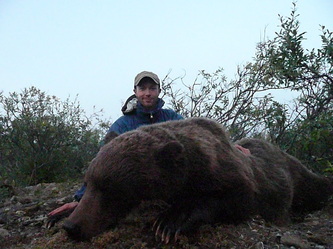 We also offer remote fly out spot and stalk hunts, for the hunters who don't want to hunt baited bears! 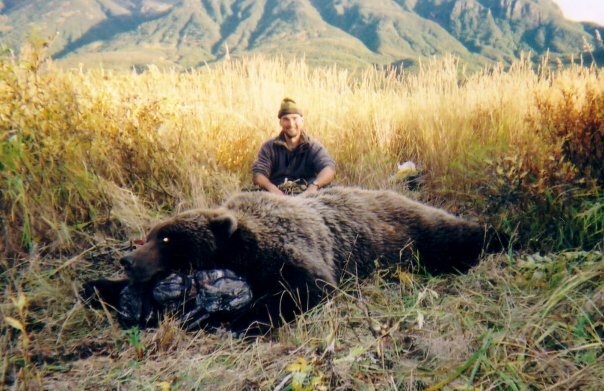 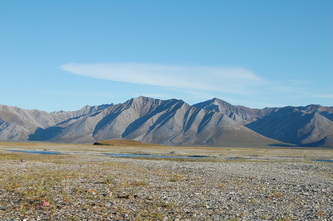 We have offered Spot and Stalk Grizzly Hunts for over 10 years now!!!!!!!!! !